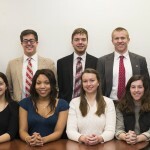 Come cheer for the Lynchburg College ethics bowl team Wednesday just before the men’s basketball game against Roanoke College. 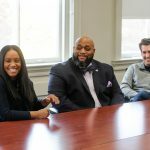 The team will head on to the Intercollegiate Ethics Bowl national competition on Sunday, Feb. 21. 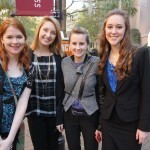 All three of LC’s debate duos made it to their final round of competition, and three students won trophies for presentations in individual events at the Collegiate Forensic Association winter tournament Charleston, S.C. “The most amazing part of the tournament was seeing some of my teammates work so hard on their pieces and watching it pay off,” said Sami Topping ’19, one of the victorious team members. 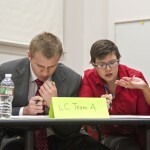 The LC Ethics Bowl team will compete with teams from two other colleges on Jan. 26 at 7 :30 p.m. in Hopwood Auditorium. 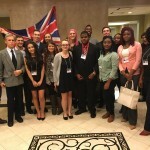 They will then go to the national competition on Feb. 21.